First off, mix almond butter, sweetener, life shake until smooth. Add in the mini dark chocolate chips and mix again, until well incorporated. Using a teaspoon, scoop out the “dough” and roll into bite-sized balls. Put onto plate, and repeat. Place plate into freezer. In the meantime melt the peppermint dark chocolate bar in the microwave until completely melted, 30 seconds at a time and stirring in between. Take protein bites out of freezer, and drop in a few bites at a time, making sure to coat it completely with chocolate (I did this with a spoon). 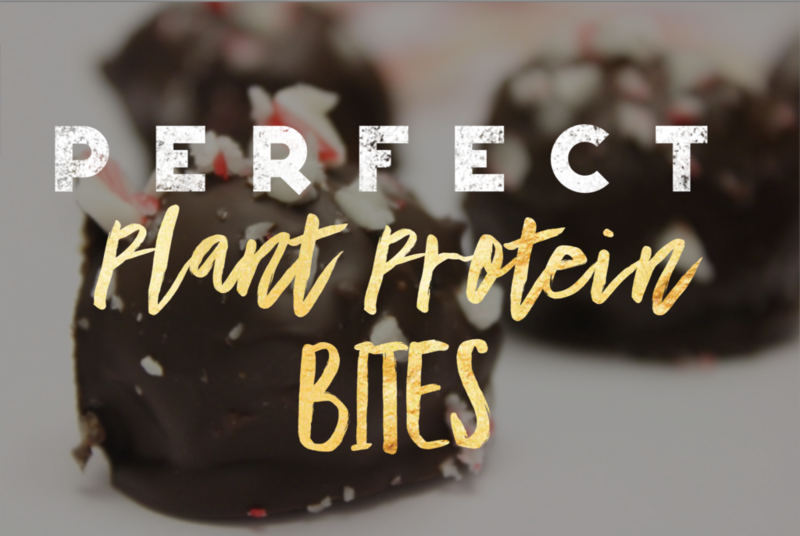 Spoon the chocolate-covered protein bite and put it on a plate covered with parchment paper. 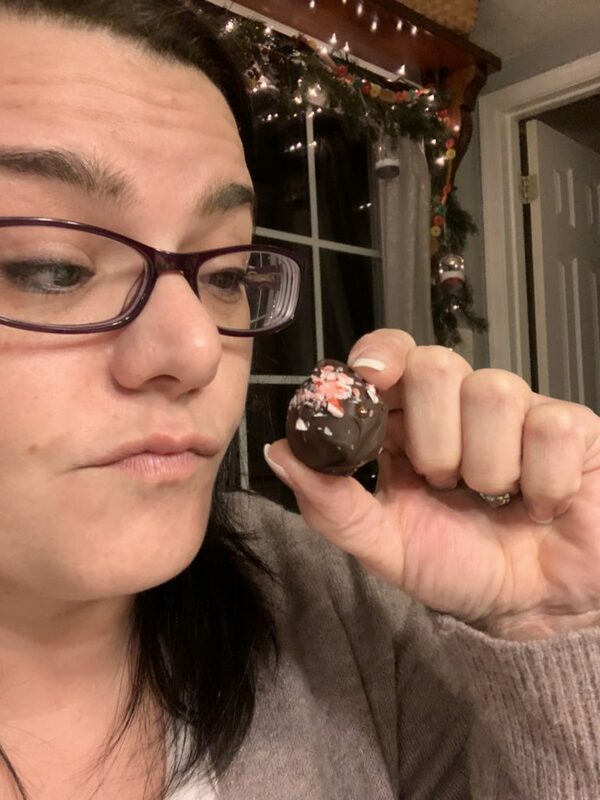 Sprinkle protein bites with crushed candy cane pieces a few at a time s the dark chocolate coating hardens quickly. Repeat process until all protein bites are on plate. Return to the freezer until chocolate has set. Enjoy! *Notes: For liquid sweetener you can use agave, maple syrup, honey, or anything of that sort. I used 1/4 cup honey and 1 tbsp. maple syrup.